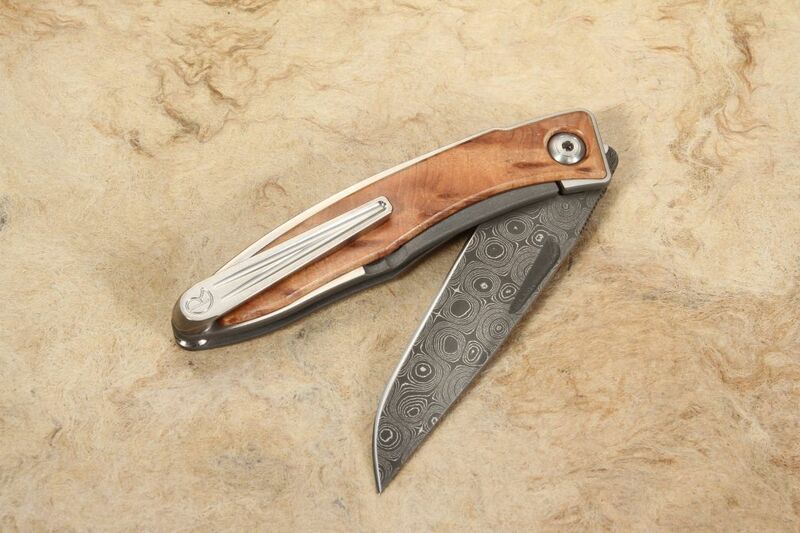 The Chris Reeve Mnandi with Thuya inlays and Chad Nichols hand forged stainless raindrop pattern damascus is the ultimate gents folder. 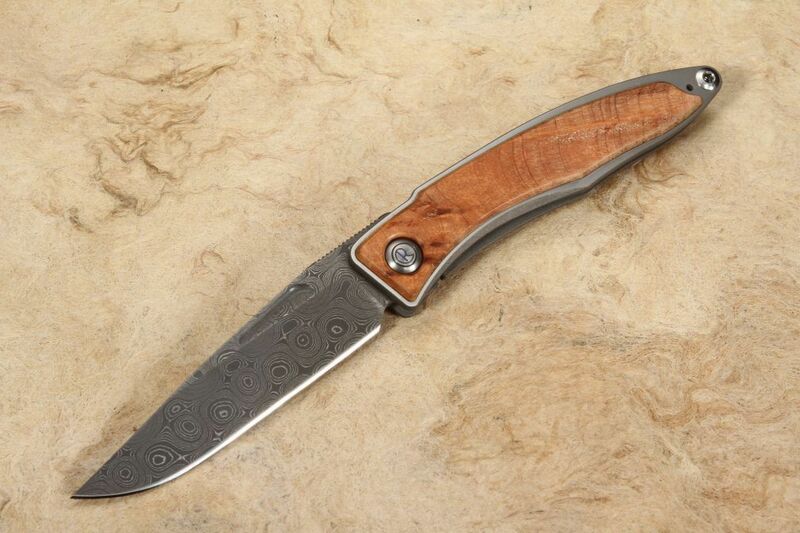 The blade features Chad Nichols hand forged stainless raindrop pattern damascus. Hollow grinds ensure a sharp edge and precision cutting. cut out in the blade for easy opening. Jimping on the thumb rest of the blade spine for positive forward grip. 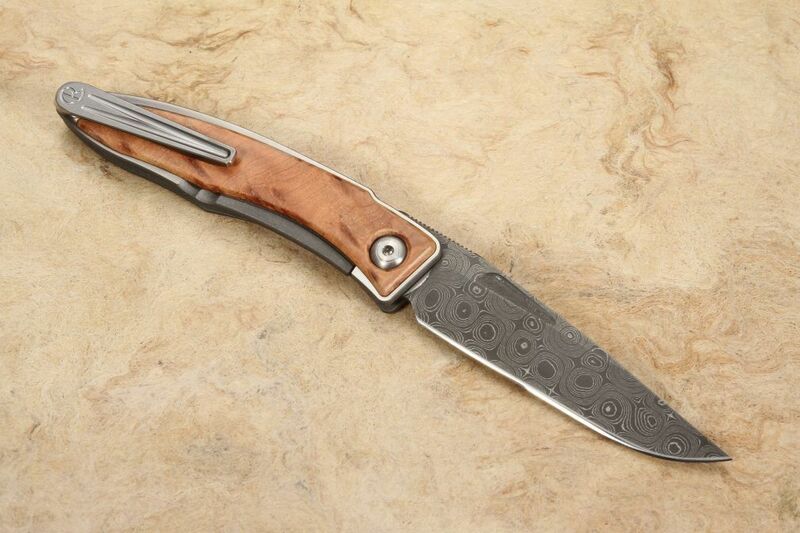 The Chris Reeve Mnandi handle is constructed of aerospace grade titanium with premium Thuya wood inlays on both sides of the handle. 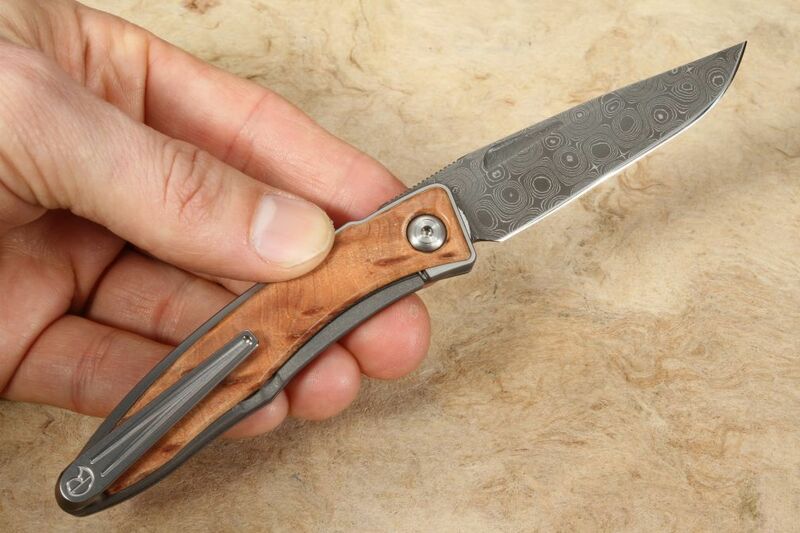 The titanium handle has two finishes, the flats are satin finished while the edges and interior sections blasted. Strong pivot design ensures smooth opening and closing. Solid frame lock design. Titanium pocket clip is mounted for blade tip up carrying.